Posted in: 1 Pageant Pages, 2 Shout-out-Looks. Tagged: Anabel Tia, Anja-Vanessa Peter, Bb. Pilipinas-International, Bea Rose Santiago, Bianca Guidotti, Caneille Faith Santos, Dianne Necio, Hannah Ruth Sison, Kimverlyn Suiza, Krista Kleiner, Nicole Schmitz, Patricia Ejercitado, Pia Wurtzbach, Ria Rabajante, Samantha Balbin, Toni Alyessa Hipolito. Mary Anne Bianca Guidotti was 24 when she won the title last year. Bea Rose Santiago, on the other hand, was 23 the year she nailed hers, the same age Nicole Schmitz was crowned last 2012. Before that, Dianne Necio was a young 19 year-old at the time she was named for the honor. And nearly five years ago today, Krista Kleiner was all of 20 summers during Bb. Pilipinas 2010 – the edition where she got the nod as Bb. Pilipinas International. 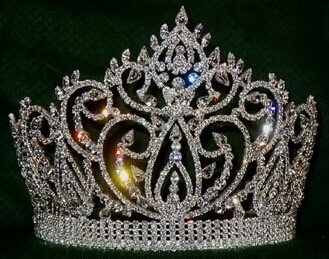 Of the five titles at stake, this is the crown that only Official Candidates below the age of 25 can vie for. And in the 2015 batch, there are those who are skipping the hunt to become the country’s next representative to Miss International. Hence, the likes of 25-to-26-year-olds Hannah Ruth Sison, Pia Wurtzbach, Kimverlyn Suiza, Anja-Vanessa Peter, Ria Rabajante, Patricia Ejercitado, Anabel Christine Tia, Toni Alyessa Hipolito, Caneille Faith Santos and Samantha Balbin are no longer eligible for the same. The rest can breathe easy knowing that they are still up for all the prized spots. There is one gray area, though. For example, Binibini 19 Christi Lynn McGarry was 24 when she got in as Official Candidate. But just last February 5, she already turned 25 – more than a month before the March 15 coronation night. Can she still be considered for Miss International? My impression is that the Japanese organizers are strict when it comes to age and are understanding when the rep is already 25 but still under that age when she participated in and won the national crown (just like Bianca Guidotti). Will Madame Stella Marquez de Araneta make an exception or will she play it safe and go for those who are safely within the age brackets to avoid any unnecessary kinks about the matter? Posted in: 1 Pageant Pages. Tagged: Bb. Pilipinas-International 2013, Bea Santiago, Hirofumi Hashimoto, Miss International 2013, Miss Tourism Queen of the Year International 2012, Nicole Schmitz. Bb. 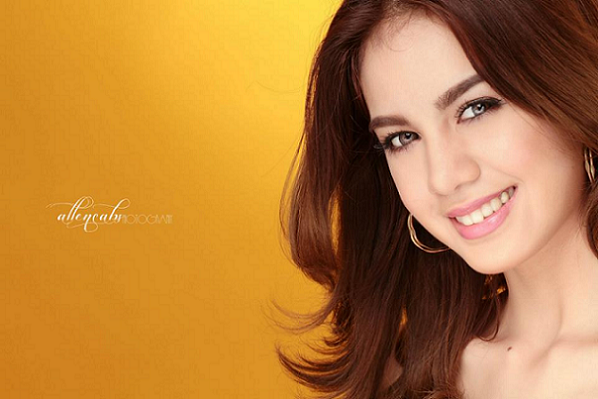 Pilipinas-International 2013 Bea Rose Santiago from the eyes of Raymond Saldana. International Cultural Association Chairman) for Miss International 2013? Bb. Pilipinas-International 2013 Bea Santiago is like a Rose in full bloom. And how apt that her name contains the flower she is being compared to. After nailing the 2nd-highest crown in Bb. Pilipinas 2013, she is now setting her sights at insuring a successful stint in Miss International 2013 later in the year. Of course, even before the time comes to pack for her assignment, she needs to go full blast with training in all aspects of competition. The good thing is that she already experienced participation in the international level. At this point, she has learned from whatever shortcomings she may have committed in Miss Tourism Queen of the Year International 2012 (where she reached the Top 10). Bb. Pilipinas 2013: Say ‘Cheese’! Posted in: 1 Pageant Pages. Tagged: Ali Forbes, Bb. Pilipinas 2013, Elaine Kay Moll, Janine Tugonon, Katrina Dimaranan, Nicole Schmitz, Operation Smile. Mutya Datul VS Krisma Pascual: Local Blend or Latina Bent? Posted in: 2 Shout-out-Looks. Tagged: Bb. 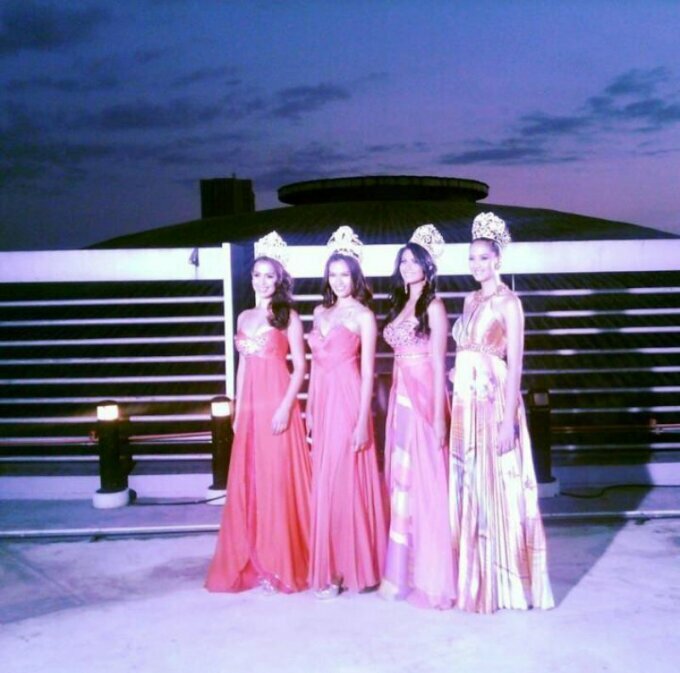 Pilipinas 2013, Krisma Pascual, Melody Gersbach, Mutya Johanna Datul, Mutya ng Pilipinas 2012, Nicole Schmitz. Now here’s an interesting pair of Versus ladies. And correct me if I’m wrong, but they come from the same handlers who do are not identified among A&Q, KF or Team JDV. And whoever is responsible for their training is definitely showing loads of potentials in beauty polishing Both Mutya Johanna Datul and Ma. Cristina Ann ‘Krisma’ Pascual are, simply put, gorgeous in two different – but completely likeable – ways. Krisma Pascual? The girl who jolted a healthy number among us when she was first featured here as the former Miss PSBA (QC) with a very Latina vibe. Just stare at her two photos in this post and you can easily mistake her for a candidate in either Belleza Mexico or Colombia. And up to now, I could not verify what her true lineage is. Is she half-this or half-that? But for sure, she has this foreign mix running in her blood. And that’s the reason why she is a possibility for the Japan-based competition. There is a hint of Melody Gersbach (+) and Nicole Schmitz in her aura. I can’t vouch for her speaking abilities yet. But if she turns out to be a complete package, then watch out, frontrunners! Imelda Schweighart: Kagandahang Flores for Miss International? Posted in: 2 Shout-out-Looks. Tagged: Bb. Pilipinas 2013, Imelda Schweighart, Kagandahang Flores, Miss International, Nicole Schmitz. 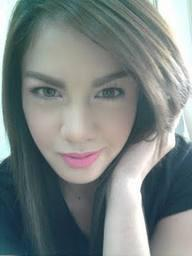 Is Imelda Schweighart the Kagandahang Flores bet for Bb. Pilipinas International? Last year, Kagandahang Flores snatched the Bb. Pilipinas-International title via Nicole Schmitz. Will one of Rodgil Flores’ ladies duplicate the effort this year? Very possible. And one of his anticipated wards, showbiz newcomer Imelda “Imee” Schweighart, could be an excellent fit for the Miss International competition (especially if Japan hosts the same once again). Posted in: 2 Shout-out-Looks. Tagged: Bb. Pilipinas 2013, Bea Rose Santiago, Bianca Manalo, Charmaine Elima, Dianne Necio, Isabella Manjon, Kagandahang Flores, Miss Tourism Queen of the Year International 2012, Nicole Schmitz, Parul Shah, Rodgil Flores. Kagandahang Flores (KF) is the other reputable beauty camp churning out ladies for Bb. Pilipinas. While good friends with Jonas Gaffud, KF Head Rodgil Flores has been in deep competition with A&Q for many years now. Just to name his more recent successes, there are Nicole Schmitz, Dianne Necio, Isabella Manjon and Bianca Manalo to carry the group’s colors. For 2013, five of their bets have already enlisted and I am featuring three of them. Might I also add that they are simply stunning! Enter Bea Rose Santiago, Parul Shah and Charmaine Elima. You will remember Bea Rose Santiago as Mutya ng Pilipinas-Overseas Communities 2011 who represented us in the Miss Tourism Queen International 2012 where she landed the Top 10. She stands 5’9″. The other two appeared in earlier features here. Parul Shah is the Baguio Fil-Indian charmer who placed in Aliwan Festival 2009. She stands 5’9″. And then there’s Charmaine Elima from Rizal. The dusky beauty is 5’7″.